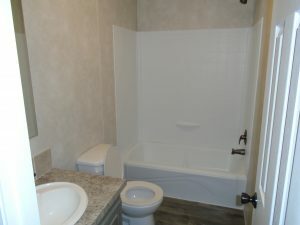 WE ALSO HAVE TWO OTHER 3-BDRM, 2-BTH MODELS OF BRAND NEW HOMES FOR SALE – SINGLE AND DOUBLE-WIDE MODELS AVAILABLE NOW! CALL 765.287.1186 TODAY. 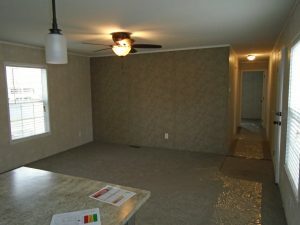 You could own this home for payments as low as $686/mo! (Estimate INCLUDES your mortgage AND lot rent!) 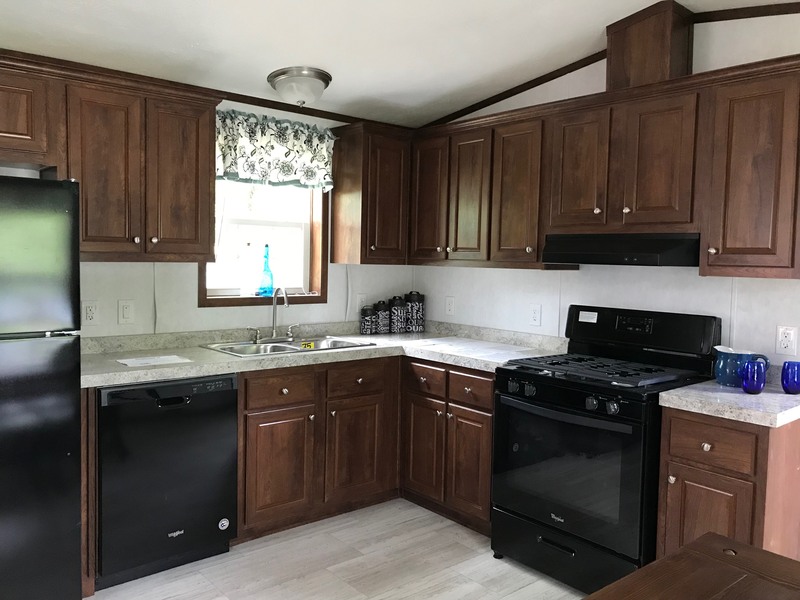 This brand new 3-bedroom, 2-bath home is available for sale in Holiday Park, a gorgeous, safe, and family-friendly mobile home community. 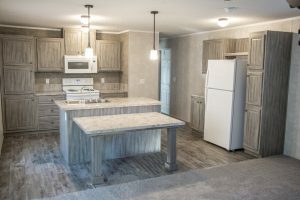 This new home is so loaded with amenities you won’t believe it’s a manufactured home! Your new single-wide home includes all brand new kitchen appliances, including an electric stove, microwave, refrigerator, and dishwasher. 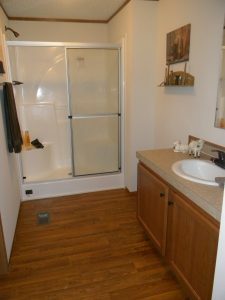 This home also features ceiling fans in the living room and master bedroom, a large walk-in shower in the master bath, ceramic tile back splashes in the kitchen and baths, a gas furnace, central AC, stairs at both exits, installed skirting, exterior shutters and an outdoor water spicket. Home measures 16 by 68 ft. 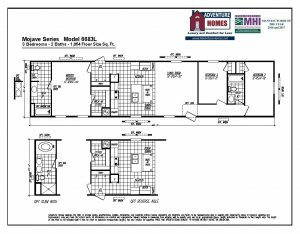 Adventure Homes Model 6683L. Located at 1905 S. Haney St, Lot 53. Total price of home is $41,116. Monthly payments will vary with terms of mortgage. Holiday Park is a beautiful community with well-lit, curbed, paved streets, mature trees and landscaping, and a catch-and-release fishing pond. 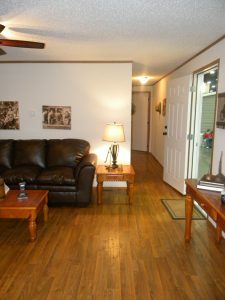 The well-appointed community clubhouse is open to everyone and regularly hosts fun events. This family-friendly, pet-friendly community boasts a quiet country setting with city convenience. Located in an excellent school district, this park features a school bus stop inside the community for safety. Park management is onsite for your convenience. Call 765.287.1186 or email Linda@Teton.Management for details. NOTE: There is an application process for tenancy in our community.